Home Editorials Who Should Georges St-Pierre Fight In His UFC Return? Who Should Georges St-Pierre Fight In His UFC Return? Former UFC welterweight and middleweight champion Georges St-Pierre recently conducted a media tour in Australia, and he talked about a possible comeback later this year or early next year. According to GSP, who hasn’t fought since submitting Michael Bisping last November at UFC 217, he has the itch to fight again, and he has some specific opponents in mind for this return fight. 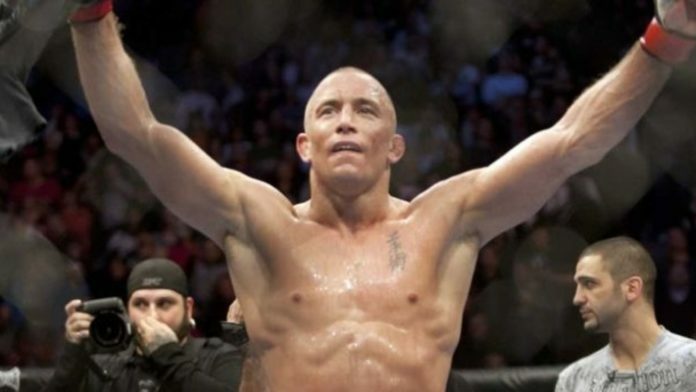 In this article, I’ll give my thoughts on some of the potential matchups for GSP in his possible return to the Octagon. The fight GSP said he is most interested in is a matchup against the winner of UFC 229’s lightweight title bout between McGregor and Nurmagomedov. It goes without saying that GSP is always after the biggest money fight, and for the last few years I’ve thought a fight with McGregor was just that, but with the Irishman pursuing boxing it never panned out. Now, there’s a chance it could happen, especially if McGregor is able to beat Nurmagomedov, which would be a huge win for him. Come on, you know you want to watch GSP vs. McGregor. That’s the fight that would break every UFC pay-per-view record. But if Nurmagomedov can go out there and beat McGregor, he can help grow his own star power, and it makes a fight against GSP even more intriguing. You know the UFC will want to book GSP against the winner of this fight, though GSP skipping the line to get a lightweight title shot over the likes of Dustin Poirier and Tony Ferguson will upset the rest of the division. But at the end of the day it’s a business, and I just think it’s a no-brainer that GSP coming back and looking to get a third title against McGregor or Nurmagomedov is the biggest possible fight the UFC could book. That potential fight wouldn’t take place until next spring at the earliest, but that gives the UFC plenty of time to get the promotion for the bout ready. Plus, wouldn’t the UFC love to kick off its partnership with ESPN with superfights involving GSP and Brock Lesnar to kick off 2018? Well, perhaps Dana White doesn’t. We can’t forget that GSP was the best welterweight ever, and he could always look to come back to the division he once reigned to take on the winner of UFC 228’s Woodley vs. Till. If Woodley wins that fight, then there’s a good argument to be made he’s the second-best welterweight ever after GSP and it would thus be intriguing to see them do battle and see who the best welterweight of all time is. If Till wins, then the UFC has a potential superstar and the promotion could look to book GSP against him in a fight that could make Till one of the biggest money-makers in the sport. Just say Till goes out there and beats Woodley and then calls out GSP. Wow, that’s a big fight for the UFC, though it might not be big enough to interest GSP. Still, if Till can get under GSP’s skin, you never know what could happen. Even though GSP said that he doesn’t want to fight Silva because he has more to lose than to gain in this matchup, I still think it’s possible we finally see this superfight take place. The reason being, these are two superstars who are available to be booked and at a time when the UFC is desperate for headliners, this is the perfect time to pit these two long-time champions against one another. Silva is due to return from his USADA suspension in the fall and coming off of a win over Derek Brunson he has some momentum behind him for the first time in years. The fight could potentially take place at middleweight or at a catchweight. This is the dream fight that I’ve always wanted to see, and it makes perfect sense as the headliner of UFC 231 in Toronto — that is, if GSP will take the fight. Who should GSP fight in his return to the Octagon? Leave a comment below with your desired matchup.